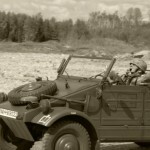 The so-called ”tub-car” (kübel is German for tub or bucket) is a military development of the more famous Volkswagen that was developed by Ferdinand Porsche in Stadt des KDF-Wagens – today Wolfsburg. 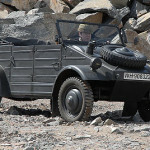 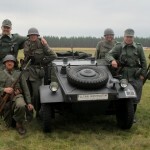 This vehicle was produced between 1938 – 1945 to a total number of 37,320 samples and can be regarded as the German predecessor to the more famous Willy’s Jeep (1941). 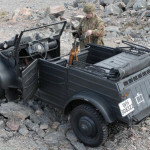 Many military journals have claimed that this vehicle was produced to a quantity surpassing 55,000 cars but this is not correct. 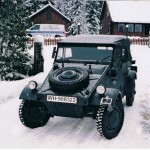 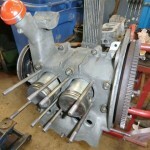 After some deeper investigations and research on this subject, and with close contact with the Historischer Amt (the historical dept) in Wolfsburg, via Dr. Ulrike Hoffmann, I have managed to take part of the production serials from the period in question; this proved that the former no of produced vehicles is the correct quantity. 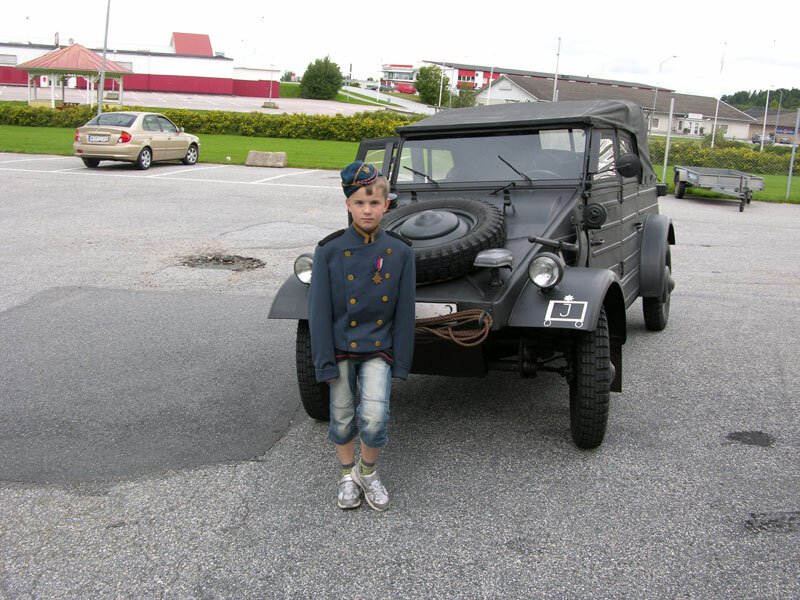 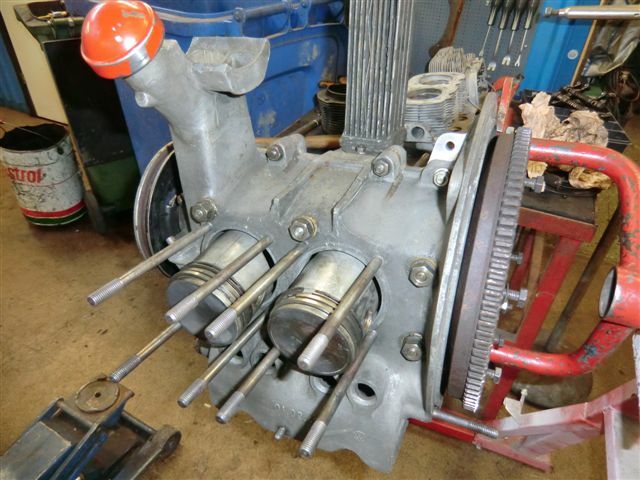 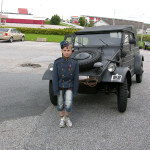 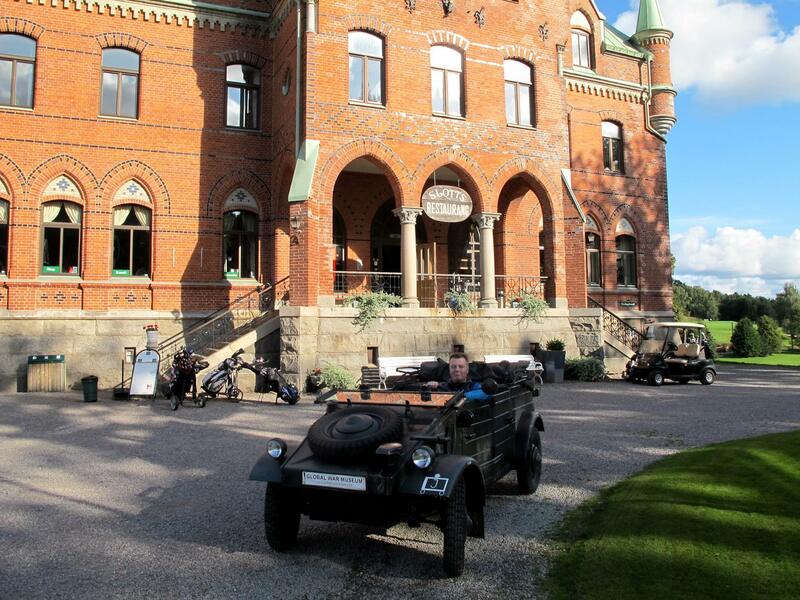 This specific vehicle, with the chassis no 8,530, I bought in Norway, in the year of 2007. 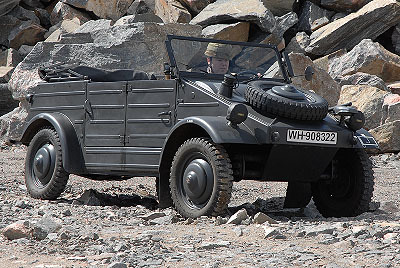 The correct chassis no should be 7,090 – of all up to then built VW-vehicles. 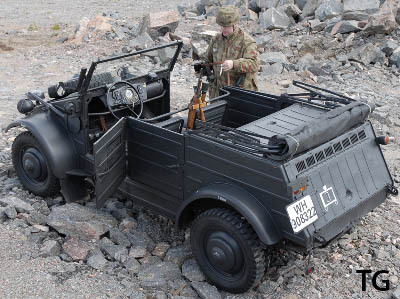 So why the confusion with the chassis numbers, You may wonder … well, in an effort to mislead the enemy the Germans always stamped higher numbers than was the real case, simply to signify that there was supposed to be a higher number of vehicles than in reality. 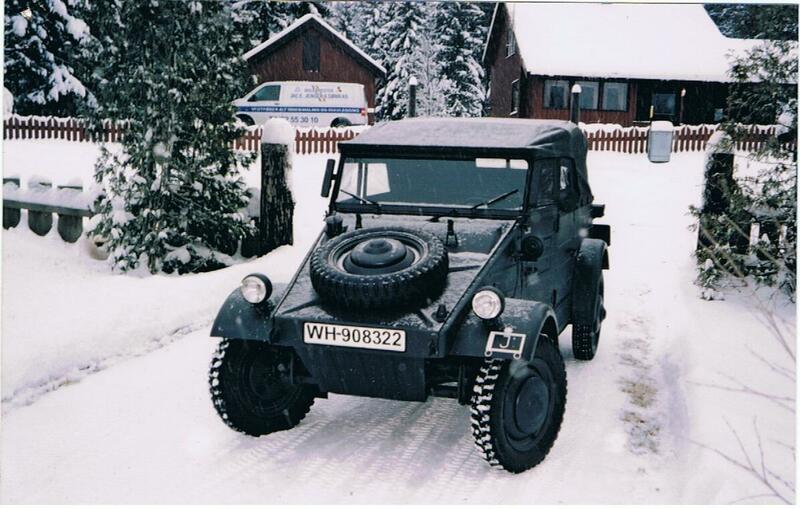 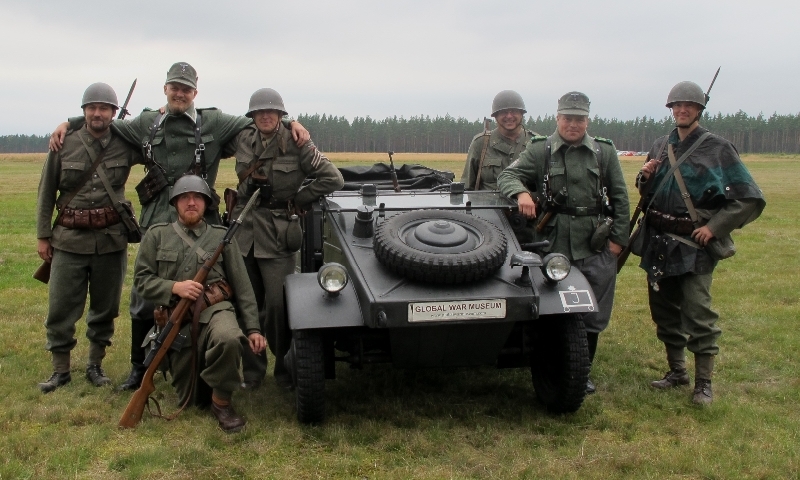 This vehicle was completed on 28 March 1942 and delivered to the troops in Norway with the registration no: WM – 83200. 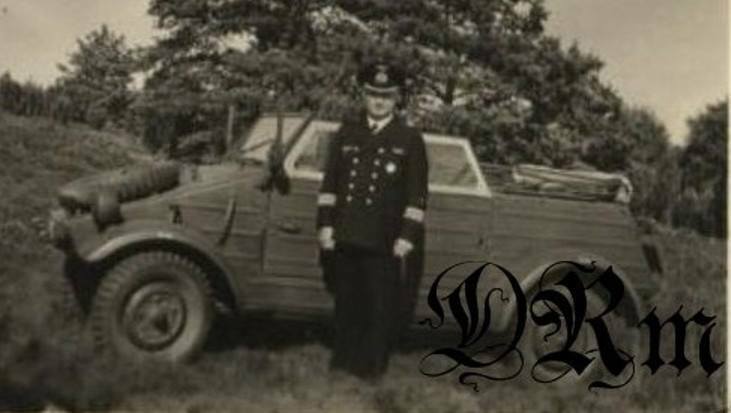 WM is short for Wehrmacht Marine. 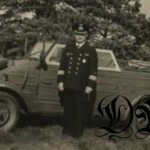 Today this is the only known, original vehicle that served within the Kriegsmarine (The Navy including Coastal Artillery and the Fleet). 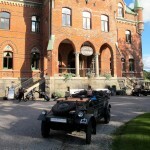 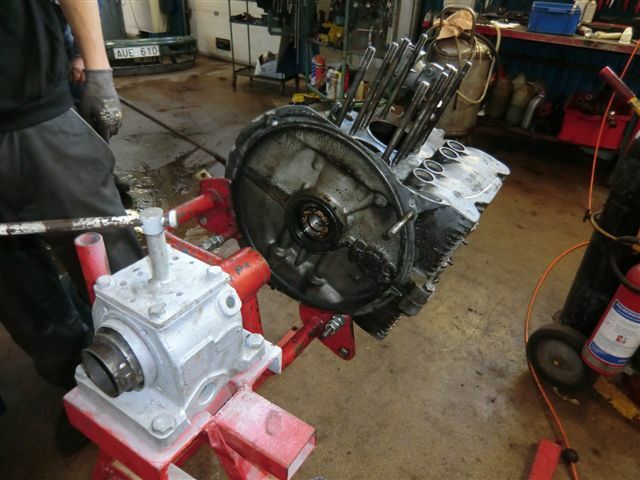 The car is in pristine and fully functional condition and with Swedish registration plates. 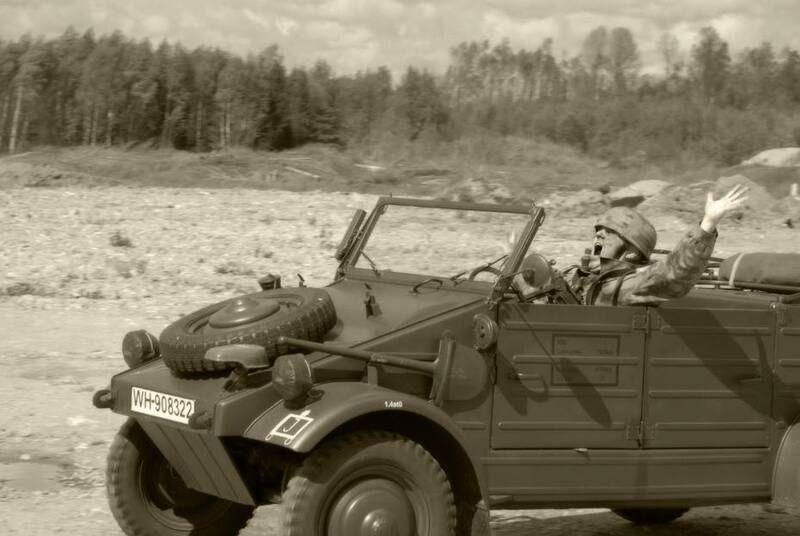 This vehicle is for rent for film-productions and also on display in the museum collection … not to forget that I frequently take it for a spin – it is really a joy to drive.